This is truly the chance of a life time to work on pioneering shark protection projects alongside respected scientists and shark research experts. This project is perfect for anyone with a passion for marine wildlife and the great outdoors. The Fiji Shark Conservation Project offers you the chance to get up close to some of the most endangered and mis-understood animals in the world. Volunteers are welcome on a gap year, a career break, for university research, or even as an opportunity to experience a very different way of life! 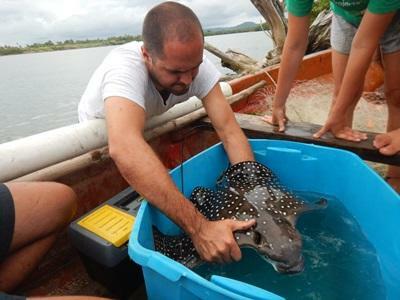 Working directly with the Fiji Shark Conservation Project, conducting the work of internationally renowned shark research scientists, volunteers will be directly involved in scientific shark research work, as well as actively working within the local community on mangrove reforestation, recycling and shark education initiatives. The volunteers and the conservation work are supervised by our resident marine biologist and local staff. We also work closely with other local and international marine conservation organisations. The project is based in Pacific Harbour, on the south coast of Fiji’s main island of Viti Levu, just 3 hours from Nadi. 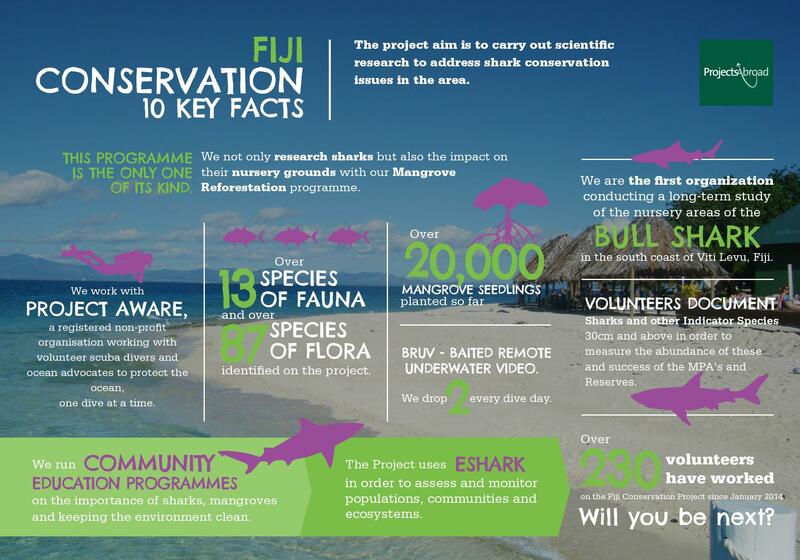 Volunteers do not need any previous diving or shark research experience to take part in the Fiji Conservation Project. However, volunteers need to be able to swim, be medically fit to scuba dive and have a good command of the English language to get the most out of the Shark Conservation project. This project is not available for people who do not want to take part in the diving. Volunteers who have not dived before receive the PADI Open Water dive course during their first two weeks on the project. After their dive course, volunteers receive the PADI AWARE Shark Conservation Diver Course and, all volunteers staying for four weeks or more complete the PADI Projects Abroad Survey Diver Distinctive Specialty Course. 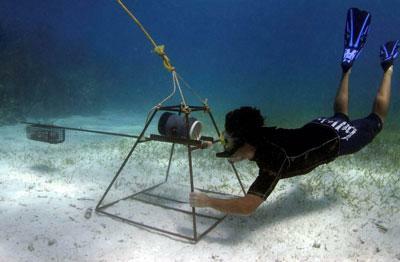 This is a PADI authorised specialty course which includes full training in underwater survey and research techniques. This course also focuses on fish identification theory. 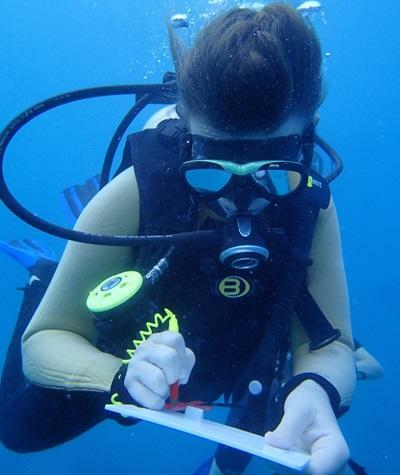 In order to pass the course and contribute to data collections during survey dives, volunteers need to pass a test. Volunteers with an existing dive certification equivalent to the PADI Open Water qualification will do the PADI Advanced Open Water course or the PADI Rescue Dive course. If volunteers have already done the PADI Rescue Dive course, they will do an extra Shark Feed Dive during their project. Those who already have the Advanced certification or higher will receive the PADI AWARE Shark Conservation Diver Course during their first week, as well as the PADI Projects Abroad Survey Diver Distinctive Specialty Course, and an extra Shark Feed Dive during their project time. This diver course has a theory component and a practical component. It also includes a shark dive. All volunteers taking part in the Conservation Project in Fiji for at least 8 weeks, and who are 18 years or older, have the opportunity to train as a Divemaster during their time on the project. Read more about our Divemaster Add-On Course here. The Fiji Shark Conservation & Awareness Project and our partner dive organisation, Beqa Adventure Divers are at the forefront of shark protection in Fiji. Their safety record on shark dives is 100%. 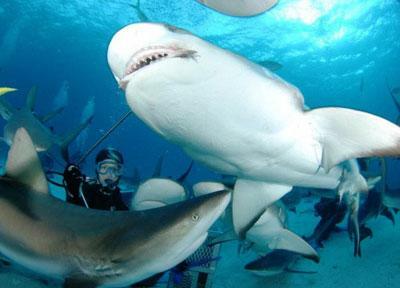 There have been no shark related accidents or injuries to any divers on their shark dive trips. The weekly schedule consists of two dive trips per week where the scientists set underwater research equipment and volunteers participate in the two shark sighting surveys. Our volunteers and staff generally go on two shark tagging trips per week. You need to be aware that this activity may be limited by weather conditions and availability of space on the boat. In terms of the diving, volunteers who are only able to stay for two weeks will do practice surveys after their dive course where they can join the marine biologist and longer term volunteers on survey dives, and observe and practise survey techniques. A typical working day will run from 7am to 4pm. However, depending on the activities volunteers may be required to start earlier or finish later. The work week is from Sunday to Thursday, and volunteers work from 9am to 5pm every day. We encourage volunteers to arrive at the project on Thursday, Friday, or Saturday, whenever possible. Trained local staff are on hand to supervise activities and provide support throughout. The primary aim of the Shark Conservation Project in Fiji is to protect and conserve the 8 species of sharks that inhabit Shark Reef, as well as the many other species present in Fiji’s waters and to raise awareness of the need for shark conservation around the world. 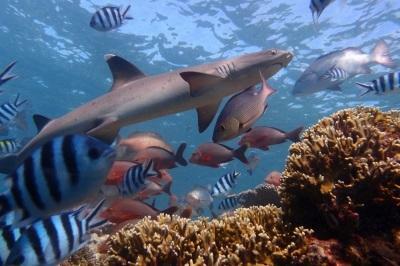 The Fijian Government is in full support of the shark protection work in Fiji and sharks are currently at the top of the political conservation agenda. Sharks play a crucial role in our oceans. Most sharks serve as top predators at the top of the marine food pyramid, and so play a critical role in ocean ecosystems. Directly or indirectly they regulate the natural balance of these ecosystems, at all levels, and are therefore an essential part of them. Sharks usually hunt old, weak or sick prey and help to keep the prey population in good condition, enabling these more naturally fit animals to reproduce and pass on their genes. The effects of removing sharks from ocean ecosystems, although complex and rather unpredictable, are very likely to be ecologically and economically damaging. 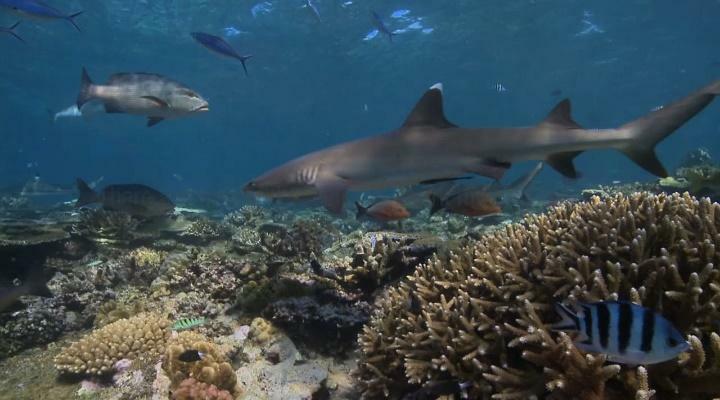 The shark research being carried out on the project in Fiji helps to ensure that scientists and marine protection lobbyists are provided with regular and consistent scientific data about the life history, reproductive information, movement and biology of the sharks found in Fijian waters. This information is vital for devising successful conservation and management strategies, helping to keep these specific shark species off the critically endangered species lists. As with all Projects Abroad Conservation projects we strive to involve the local communities in our programmes. In Fiji, Conservation volunteers work with local villages on a weekly basis to plant mangroves and with school children and local people once or twice a month on our monthly outreach programme. Making sure the next generation are aware of the conservation issues that affect them is very important. As part of the weekly mangrove work volunteers will calculate the carbon footprint of their return flight to Fiji and will work with the Mangroves for Fiji Project to produce and plant enough mangrove plants to offset their carbon impact on the planet. You can read more detailed information about the aims of the project in our Shark Conservation Management Plan. Volunteers live together in shared two-bedroom apartments. Depending on capacity at different times of the year, between 2-4 volunteers share a room. A local housekeeper works at the accommodation once per week and a local cook prepares lunch and dinner every day. Breakfast is self-service, and we provide bread, cereal, and fruit. You will be met at the international airport in Nadi and be transferred by bus to Pacific Harbour, 3 hours away. Pacific Harbour is known as the adventure capital of Fiji. In your spare time you can zip line, go kayaking, white water rafting, visiting breath taking waterfalls and hike through the rainforest. For those looking for more relaxing activities, Pacific Harbour boasts one of the finest beaches on the main island, where you can sunbathe, go for a swim or join the locals in a game of beach volley ball or beach rugby. You can also spend time at the Cultural Arts Village which has a great selection of gift shops and restaurants. The local food consists of plenty of rice, bread, chicken and starchy root vegetables, as well as Indian curries. Tropical fruit like papaya, mango, pineapple and watermelon are available in season. Vegetarians can be catered for. 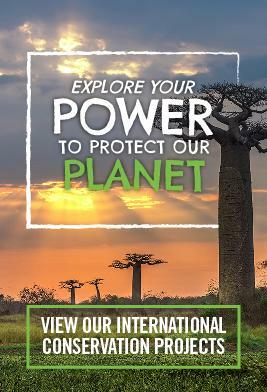 You can join the Conservation & Environment project in Fiji for two or three weeks if you don't have time to join us for four weeks or more. This project has been selected by our local colleagues as being suitable for short term volunteering for both the host community and the volunteer. Although you will gain a valuable cultural insight and work within the local area please be aware that you may not be able to make the same impact as someone volunteering for a longer period. Due to the massive popularity of this project, in order to confirm a space we recommend that you apply as early as possible, ideally at least 6 months before your start date. Please contact us for information about availability and late notice bookings.